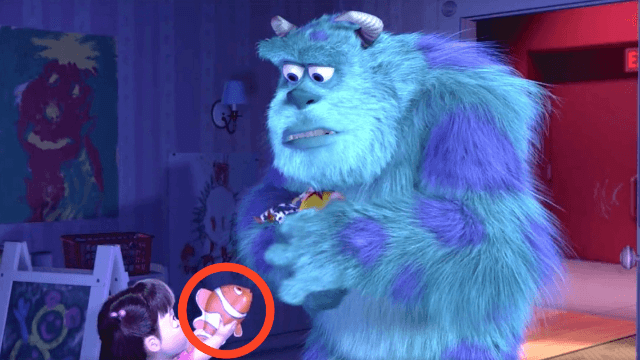 Have you ever noticed these 'Easter eggs' that connect every Pixar movie? Pixar fans have long speculated that all movies created by the animation studio are connected, but now Disney has released definitive proof. The official Toy Story Facebook page released a video entitled "Pixar Easter Eggs," and it shows the little details that connect all the movies. Check it out below. Still, diehard fans are quick to point out that there are still a few Easter eggs that the video missed. The video doesn't confirm the popular Pixar fan theory that all of the movies exist in one universe, but it does prove that there are small elements that adjoin all the films. It just goes to show that the folks over at Pixar have weaved a complex web, and put as much thought into the details as they do the big picture.